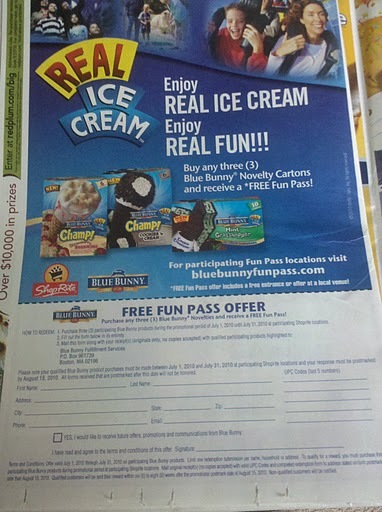 ShopRite: Blue Bunny Rebate = Money Maker! With my BBQ yesterday, I didn’t really get a chance to go through my inserts. As a matter of fact, I forgot to buy extra newspapers and I had to buy more inserts this morning from Coupon Dede. But, I was alerted to this great rebate in the RedPlum insert. Purchases must be made between 7/1 – 7/31 and postmarked by 8/15/2010. There are no coupons that I see right now. New Schick Quattro Coupon = Free At Target!